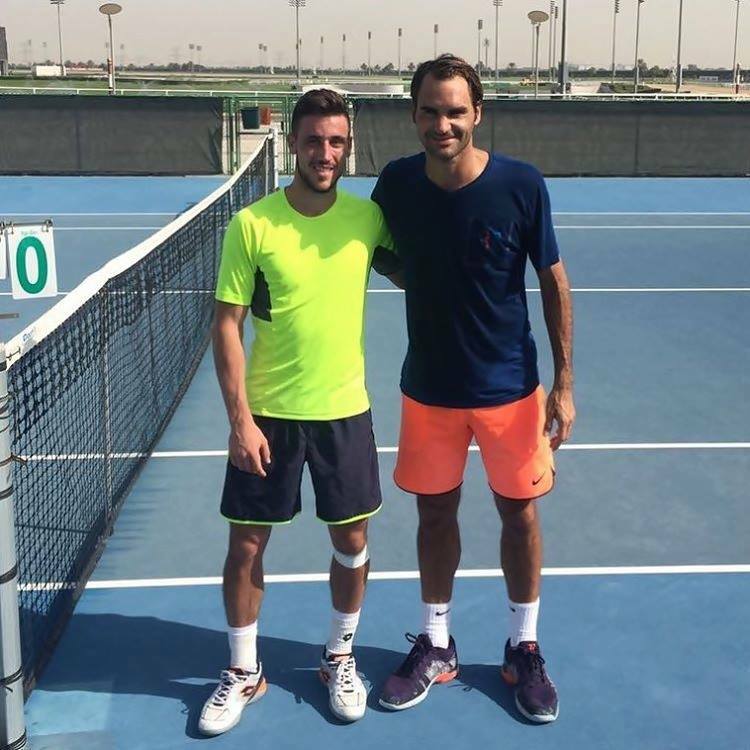 As he prepares for the 2017 season, Roger Federer said on Friday that he's feeling rejuvenated and is eager to come back to tour-level competition after missing half of the 2016 season. 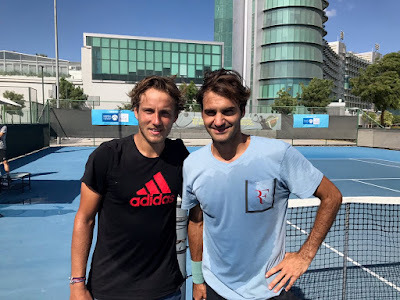 Federer, speaking with reporters on a conference call, said he's played “very well” in practice matches with fellow players Lucas Pouille of France, Borna Coric of Croatia and Damir Dzumhur of Bosnia and Herzegovina. Federer also said he doesn't regret sitting out six months of the season. The Swiss legend last played in July at the Wimbledon semi-finals (l. to Raonic in five sets). The 88-time tour-level titlist had never taken off so much as a few weeks in a season before this year. But 2016 was far from a regular campaign for the 35-year-old father of four. In February, for the first time in Federer's career, he had to undergo surgery. A day after losing in the Australian Open semi-finals, Federer tore a meniscus in his left knee while preparing a bath for his twin girls. The right-hander returned to competition two months later, in Monte-Carlo, and, the following month, played the Internazionali BNL d'Italia in Rome. But Federer then missed another month of the season before making his return on the grass in Stuttgart. He'd play only two more tournaments, including Wimbledon, before later announcing he wouldn't play again until 2017. Resting for so long assured Federer that he wouldn't need a second surgery on his left knee. “That for me was No. 1 and crucial. I just needed it to rest really,” he said. After Wimbledon, he tried to play again in August but decided against seriously testing his knee. “I played again, very quick. There was a bit of a reaction in the knee and that's when you realise... we knew it was too early,” he said. The time off had upsides as well. 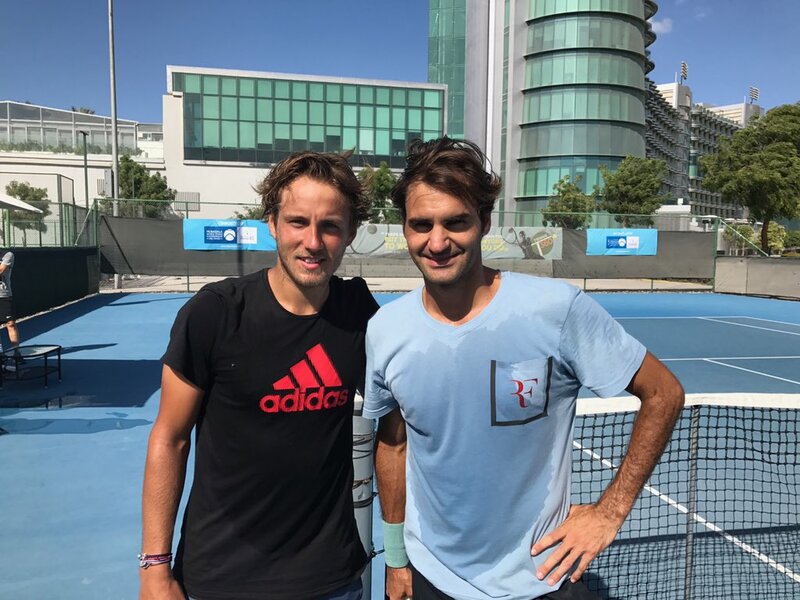 “It was great to spend more quality time with the kids, or me with more energy rather than having to worry, 'Careful, I have a match tomorrow' or 'I need to go to bed' or in the morning 'Don't wake me up' kind of thing because daddy needs to sleep a little bit,” Federer said. 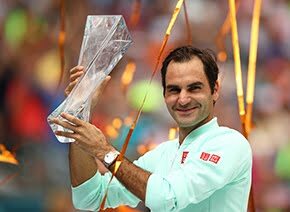 Federer returns to action at the Hopman Cup, starting on 1 January 2017, which he will play in for the first time since he teamed up with his now wife Mirka in 2002. He will partner compatriot Belinda Bencic, 19, at the international team tournament in Perth. Federer said his goal was to get fully fit and he was looking forward to a few matches in Perth before the year's first grand slam - Australian Open starts later in the month in Melbourne. “This year is unique because maybe this is the year more than any time before where I do need matches at the beginning of the season. Matches have a different intensity about it and your body reacts according to it. I’ve played over 15 sets in practice the last few weeks and I feel I am there. It’s been a great preparation,” Federer said. 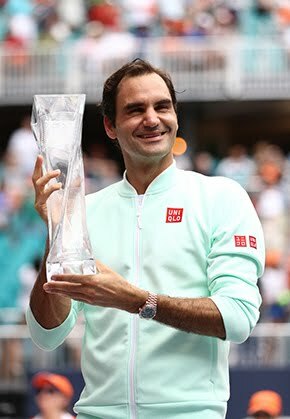 Federer, who has won 24 ATP World Tour Masters 1000 titles and 17 Grand Slam crowns, said he thinks his 18th Grand Slam title could come next season. “I do hope it's around the corner,” Federer said. “If it's not, it's not. My mindset is always very positive that it can happen or should happen or that I am doing everything that I can to possibly achieve that. “I think I've been awfully close the last few years but that doesn't count because it wasn't winning.